No time to sit and read? No longer an excuse. Digital audiobooks are now available from Phinney Books! We are thrilled to have partnered with Libro.fm to bring you the best digital audiobooks. 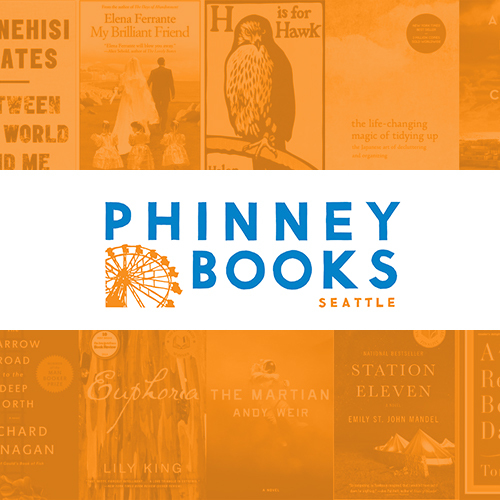 You’ll find bestsellers and great books hand-picked by Phinney Books and other independent bookstores. You can easily listen on any device (phone, tablet, PC) as all Libro.fm books are DRM-free. Visit libro.fm/phinneybooks and purchase your digital audiobook. Use promo code LISTENUP 20% off. You’ll receive a confirmation email with instructions to download the iOS or Android App, for easy listening on your mobile device. Most of our top 100 bestselling books from our second year in business (June 20, 2015 through June 19, 2016) are also available as audiobooks from Libro.fm. Catch up with some of our favorites (and yours). The Indie Next List, drawn from bookseller-recommended favorite handsells, epitomizes the heart and soul of passionate bookselling. Independent booksellers are and have always been discoverers of the next big thing, the next great read, the next bestseller, and the next undiscovered gem. The audiobook titles below have recently appeared on the list. Listen to your Libro.fm audiobooks anytime, anywhere. With the free app, enjoy great books during your commute, workout, chores, and more!